If this is your first time getting filler treatment in our office, you will need a consultation visit first. 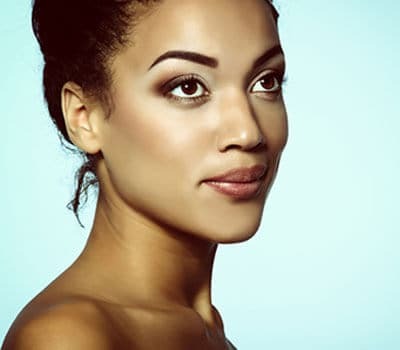 During the consultation, you will meet with board certified plastic surgeon Dr. Alghoul, who will perform a thorough facial analysis and address the areas of concern. A firm believer in patient education, Dr. Alghoul will explain to you what is causing the undesired look and suggest areas to treat that will give you the most improvement. Depending on the area and goal of treatment, a decision is made on the type and amount of filler used. The areas of treatment are marked first on the face with an erasable marker to show you where the filler is being injected and to make sure you are comfortable with the treatment. Photographs are taken before and after treatment. There are several types of fillers that are available on the market. They differ in the material they are made of and in their properties. Each filler has unique characteristics that makes it more suited to certain areas of the face. For example, there are fillers that are used for volume, shaping, and lifting properties (more viscous and injected deep), while others are used for finer volume fill and treatment of wrinkles (less viscous and injected more superficially). As we age, we lose volume in our faces. This has been clearly shown in several studies. As a result of the volume loss, the skin becomes saggier in certain areas and the bony edges become more visible (think of the bone edge around the eyes that become more prominent as the tissue around it shrinks in size). Replacing this lost volume with fillers that are hand-picked specifically for each area of the face can also lift the skin and results in a rejuvenated and youthful look. Dr. Alghoul is an experienced injector and selects each filler carefully that will help achieve the desired goals in any given area. During consultation, he will perform a comprehensive facial evaluation and will formulate a plan of treatment that will lead to natural results and is progressive in a sense that it is done gradually. Gradual improvement is key with filler treatment especially in new patients to help them adjust to the new look and to make sure not to exceed the treatment goals creating an overdone look. Treatment sessions are usually divided based on the different anatomic areas below, however they can also be combined based on the patient’s comfort level. Any individual who is not on blood thinning agents or has active infection can be a candidate for a filler treatment. What are the types of fillers used? Fillers are generally divided into hyaluronic acid and non-hyaluronic acid fillers. Hyaluronic acid or hyaluronate is a naturally occurring substance in the body made of complex sugars in a hydrogel form. It comes in different preparations and concentrations and is injected into or below the skin in various depths. Examples include Juvéderm®, Restylane®, Pervelle Silk®, and Belotero®. Hyaluronic acid hydrogels have the advantage of being well tolerated, with a low rate of hypersensitivity reaction; require little to no downtime; and are reversible. Depending on the type, they can last from four to 12 months. Radiesse® is a non-hyaluronic acid filler made of calcium hydroxylapatite microspheres. It is usually injected below the skin and is most commonly used for cheek and chin augmentation as well as filling of the nasolabial fold. Radiesse® can also be used in hand rejuvenation. There are two possible goals for treatment with fillers: camouflaging wrinkles and grooves that appear with aging or augmenting an area in the face. The end result of the treatment is to restore a smooth surface around the eyes and mouth, soften certain features like a deep nasolabial fold and enhance the volume of other areas like the lips, cheeks and nose. It is critical that any product should be used in small volumes and specialized injection techniques to achieve very natural results. Loss of volume in the forehead and temples results in loss of the convex smooth surface of the forehead and a depressed concave area in the temples. Both of these areas can be successfully treated, replacing the volume in the temple and shaping the forehead. Additionally, frequent animation with the frontalis muscle which is located in the forehead and its sole function is to lift the brows, results in horizontal fine line that become etched in the skin with time. Using “lighter” fillers that can be injected into the wrinkles can help smooth the skin surface and lighten the appearance of the lines. Forehead and temple treatment is often combined with Botulinum toxin such as Botoxâ or Xeominâ for treatment of forehead and frown (glabellar) lines. The area around the eyes involves the brows, upper cheeks and eyelids. Dr. Alghoul specializes in eye rejuvenation and performs a combination of filler treatments that enhances the volume, and shapes the frame around the eyes. Different fillers are used to fill the volume of the brow and upper lid and to fill the area under the eye, also known as the “infraorbital hollow” or “dark circles”. The inner more prominent line closer to the nose is also known as the “tear trough”. There are several treatment goals around the eyes, and they vary according to each individual’s age, anatomy, and features. Simply put, the upper lid and brow need volume, the side of the eye needs shape, and the lower lid needs camouflage of the lines and dark circles. Lower lid treatment goes hand-in-hand with cheek treatment to create a smooth transition between the two (see bleow). Filler treatment around the eyes is usually combined with Botulinum toxin such as Botoxâ or Xeominâ for treatment of crow’s feet. One of the most commonly treated areas in the face. Many patients feel that they need volume in their face, and by that they usually mean the cheek. The cheek, however is a very complex area and is divided into several zones. When I evaluate the cheek, I am usually looking at areas that I want to highlight and project, areas I need to fill, and areas I want to lift. Different products are used in various locations to accomplish these goals. Most importantly, given the central location of the cheek, the volume has to be just right and not overdone. Filling the cheek should also have a lifting effect on the nasolabial fold, corner of the mouth, and the jowls. Another popular area for treatment with fillers. There are usually significant volume loss and shifts around the mouth that result in deepening of the nasolabial folds, droopiness in the corners of the mouth, and loss of volume in the marionette lines. Adding a filler with good elasticity in this constantly moving area of the face can help achieve several goals; filling the volume deficiency, providing support, and lifting the corners of the mouth. Lip enhancement with fillers is a very popular treatment option that requires artistry, good technique, and understanding the structure of the lips. Filler treatment of the lips has both a volume enhancing and shaping components. Additionally, fine and deep lines the develop around the lip (mainly in the upper lip) can also be treated with “light” fillers with significant improvement. See videos. This a very exciting area for filler treatment. The jaw line can be shaped and enhanced with fillers giving it a more attractive and youthful appearance in both men and women. Different areas of the jaw are injected in men and women to show more masculinity or femininity. This could be a perfect treatment for early jowls and also can be extended to chin to give more projection in individuals who have weaker chins. Dr. Alghoul personally performs all filler treatments, in a very relaxing environment. The majority of fillers used have a local anesthetic mixed to make the injection less painful. In very sensitive areas like the upper and lower lips, a nerve block using a local anesthetic is often performed. Bruising may occur, especially around the eyes. The application of cold compresses before and immediately after treatment helps minimize bruising. If you’d like to schedule a consultation with Dr. Alghoul to discuss one of the procedures he offers, please call (312) 695-3654. During the consultation you can also explore surgical options such as facelift, or upper eyelid lift.